It was played on a Wednesday, and, in the first half under a briefly blazing sun. But Charlottesville and Western Albemarle’s clash had a different feel — more like something played under a gray sky in November with players like Red Grange and Johnny “Blood” McNally in the mix. 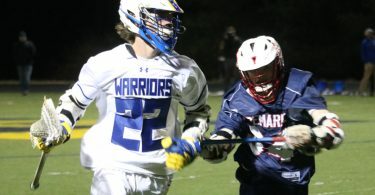 The Warriors knocked off Charlottesville 31-21 in a clash that had just four complete passes as two physical squads hungry for a win locked up on short rest after both played five days ago. 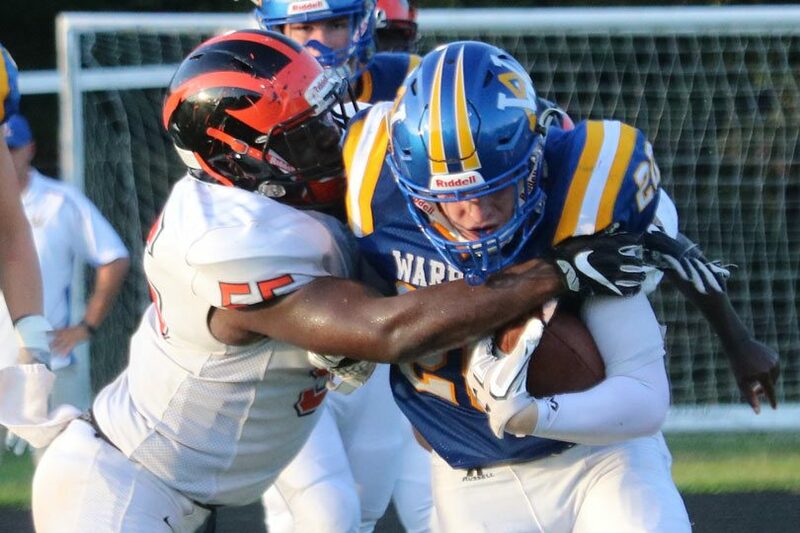 Both teams leaned on their running backs to play the Grange/McNally roles, with Austin Shifflett’s 240 yards and four touchdowns on 31 carries providing the difference for the Warriors. Shifflett was stopped for a loss just twice on the night and got the bulk of his yards in between the tackles. A patient, disciplined runner, the sophomore seemed to get better as the game wore on. It certainly sunk in, because he tucked in behind Western’s crafty offensive line all night as they continued to open lanes and move the sticks. Wyatt Hull also had some solid contributions on end-arounds to keep Charlottesville honest on the edge and he had a monster kick return late in the third quarter to set up Shifflett’s 33-yard touchdown that put Western up 28-21. Charlottesville (0-4) countered with Sabias Folley and Tamarius Washington, with Folley ripping off a 93-yard touchdown sprint down the sidelines early on for the bulk of his yards. The Warriors (2-1) managed to limit him to just 40 yards on his other 11 carries. Washington rushed for two touchdowns and 45 yards before getting hurt late in the game while Daimon Washington chipped in another 32 yards and Dwane Greenwood rushed for 33 yard. But outside of Folley’s long run, Charlottesville had to work for every single foot it gained in small chunk after small chunk. They had one other big chunk of yardage when Joe Von Storch, just seconds after picking off a pass, hauled in a toss from Tamarius Washington for 39 yards. 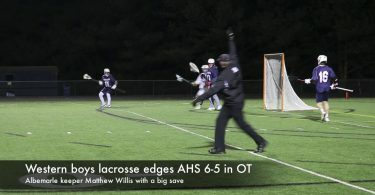 That helped set up a Washington score that gave Charlottesville a tenuous 15-14 lead at halftime. But grinding everything out left them seemingly out of gas in key moments later, like when linebacker Tayveyon Anderson stripped the ball from a Western running back for a turnover early in the fourth quarter with CHS down just 28-21. Instead of capitalizing on that momentum, Charlottesville went three and out and a couple of minutes later Western drove into the redzone where Kendall Heon kicked a 26-yard field goal to make it a two-score game. A Jack Weyher interception sealed it just two plays later. The game was moved up in order to outpace potential weather impact this weekend from Hurricane Florence and that made preparation difficult for both teams. Western practiced Monday like it was a normal Tuesday and Tuesday like it was a typical Wednesday. They’ll both now get eight-day rests with Charlottesville hosting Orange County next Friday while Western will travel to take on Powhatan the same night.